Double Hung Windows - Double Hung windows boast traditional styling that has delighted Massachusetts homeowners for generations. The top and bottom sashes are both operable for maximum ventilation, and both tilt in for cleaning from the inside. Bays and Bows - Bay windows add a distinctive touch to your home’s exterior and an inside seat that is ideal for displaying family photographs and precious objects. Like Bow windows, Bay windows provide the perfect intimate setting to complement any interior. At LT Construction & Remodeling, our remodeling contractors have the ability to work with all manners of window materials. Whether you want the all natural look of wood windows or you are looking for the easy maintenance of vinyl windows, our professional remodelers can help. In all of our window replacement services, we guarantee that you will be completely satisfied with our services customized to your unique tastes and needs. If you and your family have been considering remodeling your Worcester home in a more environmentally friendly fashion, one of the best ways to start is through a window replacement project. Because the green movement has been around for so long, supply of energy efficient windows has increased substantially. That means that high quality energy-efficient windows are readily available at the cheapest prices ever. At LT Construction & Remodeling, our remodeling contractors have an immense amount of knowledge when it comes to energy efficient window systems. We can provide you with all the information that you need in order to make the right choices for your energy-efficient replacement windows. Likewise, our window replacement contractors will use the most exact methods to ensure that you maximize the benefits of your energy-efficient windows. Through our expert installation services, we guarantee that you will have the properly sealed and insulated window that results in immediate energy savings. These energy savings will be realized in substantial reductions to your monthly utility bills. 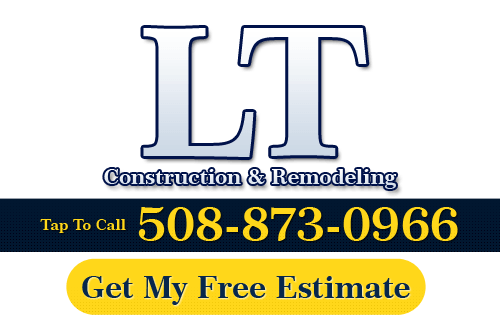 If you need to hire a professional window replacement contractor in Massachusetts, call LT Construction & Remodeling at 508-873-0966, or complete our online request form.